AerClub Avios from United Airlines finally posting! Last week I wrote an article on how you can earn Avios when flying with United Airlines, even though United is a member of Star Alliance. This is because United has a partnership with Aer Lingus which pre-dates the purchase of Aer Lingus by BA’s owner IAG. You can fly with United, credit the Avios to an Aer Lingus AerClub account, and move them to British Airways Executive Club via ‘Combine My Avios’. Nice plan. The teeny tiny snag was that, in the 18 months since AerClub launched, it had never managed to solve the IT problem of getting United Airlines to post. Now they have. If you have ever credited a United flight to AerClub, check your Aer Lingus account. You will hopefully have a surprise package of Avios waiting for you. 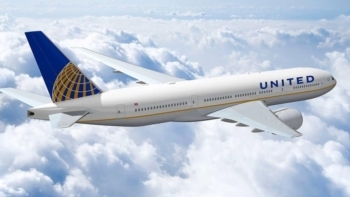 Whether Avios will now credit on a timely basis for future United flights remains to be seen …. In a surprise announcement, Norwegian is dropping its Gatwick to Singapore route from 12th January. This is a blow to their plans to extend their brand of low(er) cost long-haul flying eastwards as well as to the United States. I am wondering if this is partly due to their on-going Boeing 787 fleet issues, because Singapore is a long flight and ties up an aircraft which could do two New York runs in roughly the same time. The airline is looking at re-routing options with other airlines, so affected passengers may still get to travel for the price they originally paid. Thanks to Piers for this. There is a generous Avios / Economist deal currently running which we covered here, and it is also now available via the BA website. Le Club AccorHotels is running a similar deal. You can sign up here. You will earn up to 12,000 Le Club AccorHotels points with a two-year Economist subscription. 1 Accor points = 1 Avios point in Iberia Plus if you choose to convert them. (Do NOT convert into British Airways Avios as the rate is 2:1. Convert to Iberia and move them across to BA via ‘Combine My Avios’). If you want Avios, however, choose the superior Avios deal I highlighted above. More interestingly …… 12,000 Accor points are also worth a €240 (£215) discount on an Accor hotel stay. Given that a 2-year Economist subscription (print and digital) is £315, this is a very strong rebate if you were after the magazine in the first place. The offer is not valid with US or Canadian digital subscriptions, which is unfortunate as these are cheaper than the European ones. If you are self employed and can offset the cost of the magazine as a business expense, it is even more interesting. The offer runs until 30th November. P.S. – talking of Garuda – I booked the v cheap business class deal to Bangkok I saw on here at the start of the year. Of course they are now cancelling so I am now the proud holder of 2 x SQ business class tickets – feels like a small lottery win ! Is it not your absolute right to be rerouted if you choose? Whats with the “may” get to travel? Indeed. Norwegian don’t have a choice in the matter. Whether they make it easy or not is a different question though. I thought they only had to re-route if it is short notice cancellation but if over month’s notice given they didn’t. They need to re-route no matter how much notice is given. If only short notice (14 days) is given then you’re entitled to re-routing AND compensation. Yes, re-routing is an absolute right, and by comparable means of transport. Something BA also tries to wriggle out of! It wouldn’t make much sense for the regulations to be ridiculously generous in one way (€200 compensation for a €5 flight being 3 hours late) then let companies cancel your flights and make you buy new ones with one month’s notice – with the new price likely to be much higher than the original. It also wouldn’t really make sense for Norwegian to voluntarily look into re-routing options given the hostility they show to paying compensation despite being compelled to by law! Shame as it was a cheap way to get to Asia one way to use in conjunction with a low tax points flight from Hong Kong and avios flights in the region. Exactly what I was searching for last night! Next cheapest I found was a Finnair man/hel/sin with a 24h stopover – but actually the BA return offer at £420 was the most simple and not using the return. Didn’t do anything in the end. Just returned from SIN (on a 2-4-1 redemption with BA, First + WTP) and was looking for a cheap premium option for next year, and had a lot of hopes for Norwegian, but now they are dashed… ???? Saw Norwegian dropping that a long time ago. Was looking for the last month to book it in January, but after the 12th economy tickets jumped from around £ 200 to around £ 800. They obviously didn’t want anybody to book it. Thanks for the heads up Rob, small balance from a United flight that I took back in Feb 2017 sitting in my Aer Club account! Excellent news about the AerClub Avios from United Airlines finally posting!!!! I’ve been waiting over 18months for mine and those of other family members to post. I can confirm all posted today. Disgraceful it’s taken AerLingus so long but credit where credit’s due (excuse the pun), AerLingus finally delivered. Anyone know what is the re-routing option for Norwegian flight?